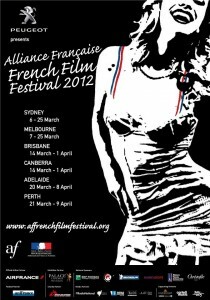 Approaching its 23rd year, the Alliance Française French Film Festival, returns in 2012 with an ambitious national program over 5 weeks including 40+ films – action, romance, comedy, thrillers, children’s films, animation and documentaries – which have been commercially released in France the previous year. The Limerick Review will scour the program and in the weeks in the leading up recommend our favourite films from the festival lineup. Keep a keen eye on our Facebook page for your chance to win free tickets to the 2012 festival. Competition details will be posted over the next couple of weeks, so make sure to like our page, then keep a look out for our posts! The Limerick Review is a film review site with a twist. All reviews take the form of a five-line poem, using the classic limerick structure. Our reviews are short and sharp, making them quick to write, read and refer to friends. Just seen a film at the French Film Festival? Why not write up a limerick of your own and we’ll feature it on site! They’re quick and easy to write, so get started and send them in.